Although it is a week into January, this Christmas season keeps on giving! 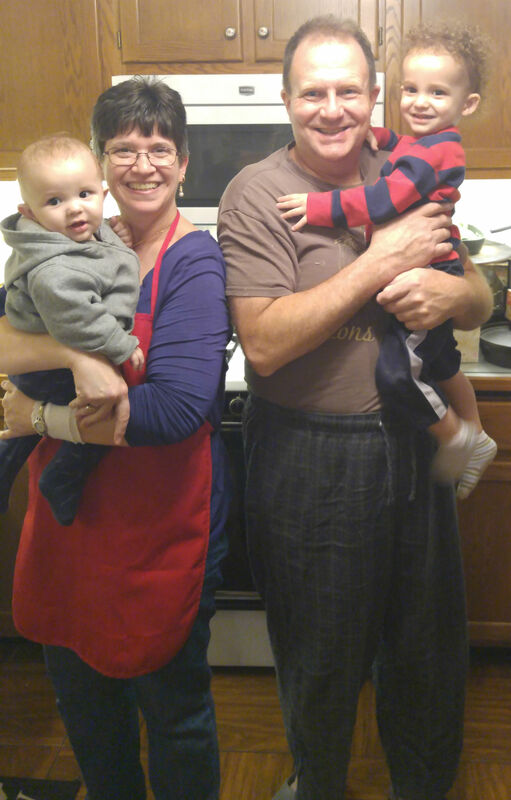 My “present” this Epiphany week came not from the Three Wise Men but instead came from our two grandsons when they were visiting with their parents (our son, Jeff, and his wife, Kristi) as we celebrated Jeff’s birthday. Several weeks before Christmas, I was at my parents old house and discovered that my dad’s old bongo drums were in danger of either getting thrown out or donated to some thrift store. It may seem silly, but something deep inside of me told me to take them and put them in my living room, where I have my piano and old flute. I had a fleeting image of the drums on one of the shelves in that room. Standing in the old family house, I held the drums. I briefly closed my eyes and I could see my own childhood self watching my dad playing these very drums. I could hear him singing some song…not the words, just the sound of his voice. I almost ignored that feeling telling me to take the drums home because while it conjured up a good memory, it also made me miss the old guy. A lot. I kept hold on the drums and took took them home with me. As I prepared our house for Christmas, I made a space for the drums on the shelves where I have all of my other music things – music books, sheet music, my flute, music stands, etc.. They fit perfectly. Just like I pictured they would. 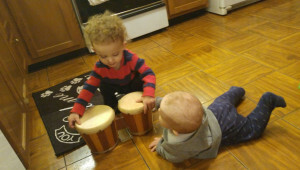 I kind of forgot about the bongos over the past few weeks, until last night when our grandsons were visiting. Jacob had been playing on the piano – well, as best as a 23 month old can play a piano! 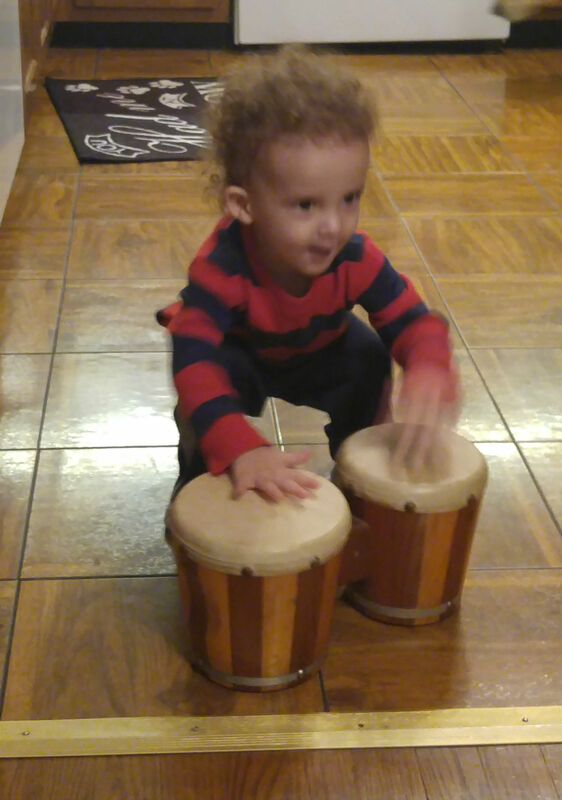 I decided to get the drums out for him . He loved them and promptly shared them with his baby brother, Declan. The boys played with the drums for quite a while. It was kind of bittersweet – definitely a mixture of emotions – watching the boys have so much fun and remembering Dad at the same time. It was once of those rare moments where the past and present pound into one another, this time with the hands of babies pounding on drums that my dad also once used. Never ignore that inner voice that tells you to follow your heart. Today is a beautiful day to enjoy, especially through the eyes of a child. Don’t let the day pass you by! Know that those who have meant so much to us continue to live on in the next generation. We all know these things, but sometimes it takes the tiny hands of little children to remind us!